Hat/Tip: to my sister-in-law Francine Nussenblatt Beckman for informing me of this amazing video. One of the most amazing classical music pieces ever composed was by the quintessential Baroque composer, J.S. Bach, with his Toccata and Fugue in D-minor. This polyphonic piece could have only been composed by a genius. 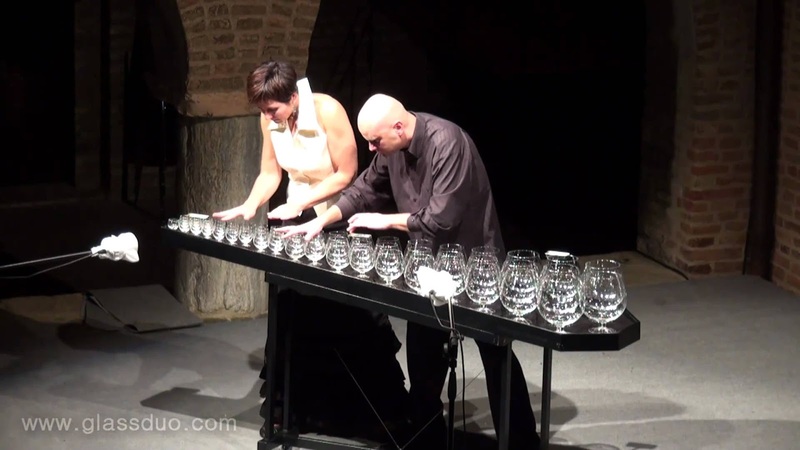 I have heard many great versions of this awesome piece, but never one like I have just heard performed on wine glasses, which the duo that performs the piece calls a "glass harp". I know, when you hear about classical music on wine glasses you may want to completely dismiss it, but please give this a listen to and I believe you will not only be amazed, but actually hear a beauty to this piece that you may not have heard before. This was performed by the Polish glass duo of Anna and Arkadiusz Szafraniec. Please turn up the volume and enjoy this amazing sound of an amazing piece.